Yeah, I'm the first to comment on it! This car is another great looking Race Car. 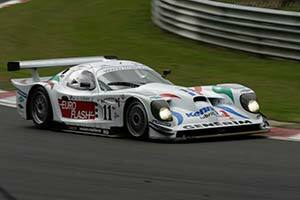 A front engined GT1, novel idea, nearly worked. But who could forget the sound of that engine? You could hear it comming from the other end of the Muslanne Straight!